home › resources › literature › Anba Abraam Late Bishop of Fayoum, "Merciful and Giving"
Anba Abraam Late Bishop of Fayoum, "Merciful and Giving"
"When the Son of Man comes in His Glory, and all the holy angels with Him, then He will sit on the throne of His Glory. All the nations will be gathered before Him and He will separate them one from another, as a shepherd divides his sheep from the goats. And He will set the sheep on His Right Hand, but the goats on the left. Then the King will say to those on His Right Hand, 'Come, you blessed of My Father, inherit the kingdom prepared for you from the foundation of the world. For I was hungry and you gave Me food; I was thirsty and you gave Me drink; I was a stranger and you took Me in; I was naked and you clothed Me: I was sick and you visited Me; I was in prison and you came to Me.' Then the righteous will answer Him saying,'Lord when did we see You hungry and feed You, or thirsty and give You drink? When did we see You a stranger and take You in or naked and clothe You?' Or when did we see You sick, or in prison, and come to You? And the King will answer and say to them, Assuredly, I say to you, inasmuch as you did it to one of the least of these My brethren you did it to Me. Then He will also say to those on the left hand, depart from me, you cursed, into the everlasting fire prepared for the devil and his angels; for I was hungry and you gave Me no food; I was thirsty and you gave Me no drink; I was a stranger and you did not take Me in, naked and you did not clothe Me, sick and in prison and you did not visit me. Then they will also answer Him saying, 'Lord when did we see you hungry or thirsty or a stranger or naked or sick or in prison and did not minister to You? Then He will answer them saying, Assuredly, I say to you inasmuch as you did not do it to one of the least of these, you did not do it to Me" (Matthew 25:31-45). 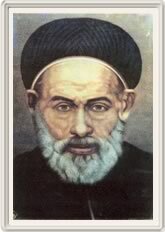 Anba Abraam was a saintly monk of the twentieth century. As it is said, "Therefore you shall be perfect, just as your Father in Heaven is perfect" (Matthew 5:48) so did St. Abraam live his holy life. Born in a small town near Cairo, Egypt, Anba Abraam grew up in a Christian home with the Lord Jesus Christ ever before him. He would gain renown not only in Egypt but far beyond because of his great love for the Lord which was shown through his sanctity, spirituality, and intense compassion for all the needy. Then he went to live in El-Baramus Monastery. The saint had been brought to the same sanctuary in which Yohanna-n-Nasikh lived. Consequently when the later became St. Mark's successor and the Fayoum people needed a Shepherd, Yohanna-n-Nasikh ordained Anba Abraam whom he loved greatly. When ordained Bishop of Fayoum, he excelled in doing mercy to the extent that he gave everything he owned. One day a penniless man came to ask him for money to spend on his wife who gave birth to a baby. The Bishop gave him one pound, all he had at that moment. When the poor man went out, a deputy of the Bishop who knew that he had received a pound met him. The deputy took the pound from him and replaced it by a fourth of a pound. The poor man returned to the Bishop and told him what had happened. The Bishop called his deputy, rebuked him for his hard heart, and lack of his faith and asked him to return the pound to the poor man, not to take back the fourth of the pound and to give him also a quilt because it was winter. When the deputy protested the Bishop said, "The Lord will provide." After the poor man left, the Bishop received from one of the believers a money order for ten pounds and an invoice for receiving ten units of wheat. Another day, a poor woman went to him when the Bishop had no money. But someone had given him a shawl, which he never used. He apologized to the woman that he had no money, gave her the shawl saying that she may sell it and use the money. The woman took it and went to the market to sell it. There the owner of the shawl saw her, bought it from her and returned it to the Bishop. Before giving the shawl to the Bishop, he asked," Father why did you not use the shawl as it is cold these days?" The Bishop replied, "The shawl is Upstairs my son" meaning that it is with the Lord Jesus Christ. Then the man presented the shawl to him. The Bishop said, "I hope you gave the poor woman the right price." The man replied, "Yes father, I gave her the right price." These are but a few of the examples of Anba Abraam's generous giving. This saint always gave with the Spirit of Love. Love in every matter, in every virtue, and in every practice is like the soul to the body. If the soul left the body it would immediately die and not exist. Likewise, God rejects any virtue without the Spirit of Love. Christianity lifts up our compassion and we sense the feelings of others, "Rejoice with those who rejoice, and weep with those who weep" (Romans 12:15). Our teacher, St Paul says, "And though I bestow all my goods to feed the poor, and though I give my body to be burned, but have not love, it profits me nothing" (I Corinthians 13:3). The Son will show them mercy on Judgment Day."